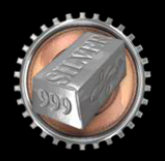 There’s a narrow genre of online slot machines which features precious metals and in the past we have reviewed games based on platinum and gold; Sterling Silver 3D is obviously a tribute to the third substance and it’s developed by Microgaming. The first thing you’ll notice when you load up this slot is that it is in fact designed for those wearing 3D specs; if you don’t have any and you don’t want to get a headache, just click the little 3D button on the top right and the game will revert to 2D. 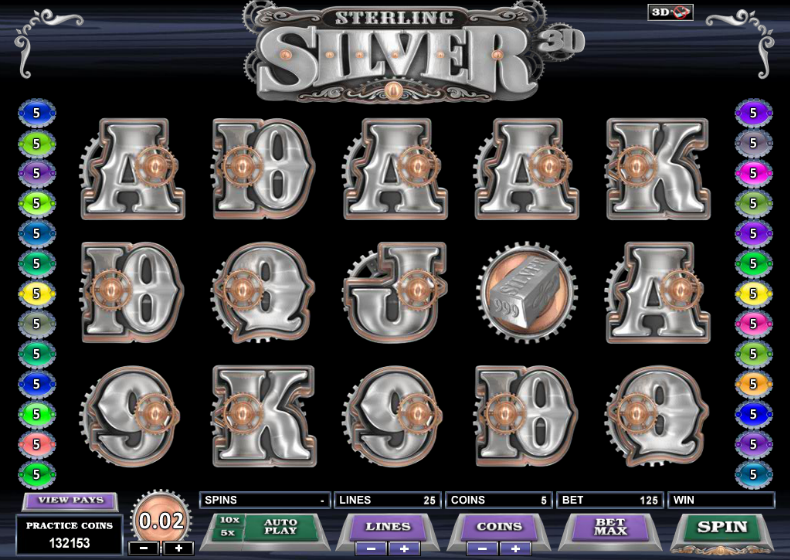 There’s an Old West/industrial vibe to this five reel and 25 payline slot and all the symbols are silver in colour, whether they are the standard playing card icons which make up the lower values or the single and triple silver bars which are worth more. There’s also a Sterling Silver wild which is stacked on reel three and silver coin scatter which will trigger the free spins. 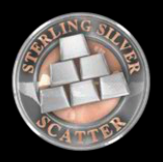 Landing three of the silver coin scatter symbols anywhere on reels two, three and four will win you 10x your total bet and 15 free spins. All wins landed during this feature are subject to a 2x multiplier and if you’re lucky a random wild will appear on the reels to enhance your prize. This feature can also be re-triggered from within this round by landing more scatter symbols. This wild only appears on reels one, three and five and on the centre reel it can be stacked which means more than one symbol can appear on top of one another, creating the potential for more winning lines. If the wild does contribute to a winning line it will multiply it by a random value of between 2x and 10x. If you fancy a flutter with your most recent win you can click the ‘Gamble’ button underneath the reels and play a card prediction game; pick the correct colour to double your win or the correct suit to quadruple it. If you are lucky enough to win five times in a row the round ends. Play with the maximum number of lines to ensure you make the most of the stacked wild. If you like to gamble don’t be tempted to keep going regardless – winning five times in a row is unlikely to say the least. This is a classy slot which lives up to the reputation it’s theme suggests. The 3D feature is an interesting idea but you will need to steal some of those red and blue lensed specs from the cinema next time you go.